Costing a mere $40.00 per vehicle, no matter the size, for you and your passengers to take part in the largest automotive event in the nation. For this small fee you are supporting our event beneficiary Camp Quality & will be provided with an event shirt, entrant sticker pass, and a variety of material from event sponsors. Arriving at the meet point, park up your cruise vehicle of choice and head over to complete your registration for the day! A minimum donation of $40.00 is required and MotorEx Cruise for Charity operates on a ‘NO CHANGE’ policy, with your change being collected for donation. In your registration process you will be provided with a vehicle sticker to identify your vehicle as paid, the route directions sheet and a ticket to collect your showbag at the destination from the MotorEx Cruise for Charity stand. Once registrations closes, a drivers briefing is held in conjunction with the local police authority. Tickets are $40.00 per car, online before the event or at the meet points. All vehicles who pay direct at the destination venue will be $40 per car for you and one passenger. Additional adults are $5.00 each, children under 16 are free. Following on, the traffic management will usher all the cruise participants from the parking area in an orderly fashion to commence the cruise route provided to each participant during the registration. 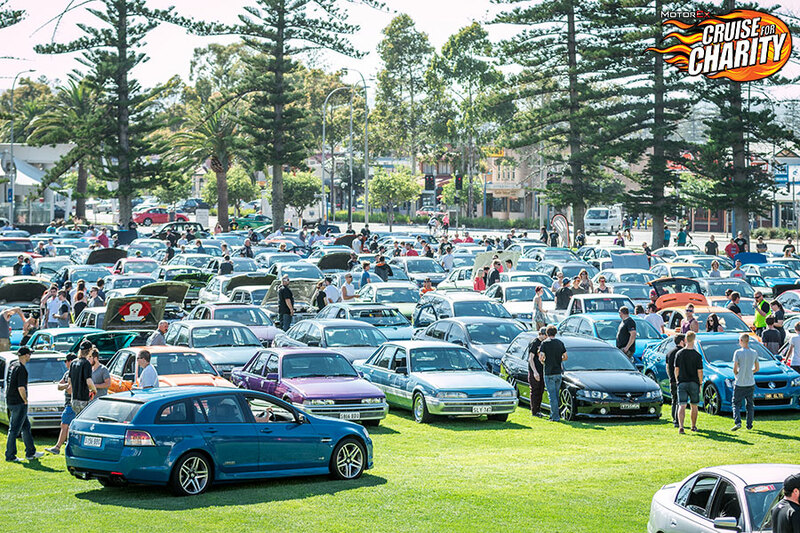 Gates open at your destination and on arrival traffic management will marshal your vehicle into the best parking position to enjoy the afternoons activities at MotorEx Cruise for Charity includes the dyno, sound off display, VIP car lane and trade stand alley!